From my earliest memories, I have felt special. My parents made me feel wanted and loved. My two older brothers always called me special… but I have a feeling they meant it in a different way than what I felt! My faith made me feel part of something bigger than myself. When I pledged my life to Christ at the age of 5, I began to understand the adoptive relationship between God and myself. How could I not feel special being chosen by the One and Only God?! He picked me to be one of His children. He called me to follow Him. He set me apart. He made me special. This faith that I have clung to from childhood initiated grand ideas and dreams of where I could see my life heading. I didn’t know specifically what I had been saved for, but I was confident there was a purpose. In my mind’s eye, I was going to do great things through Christ. I recall being the young age of 9 and visiting with a friend at her dad’s workplace, which happened to be the local jailhouse. We were goofing around in his office while he was checking on the inmates, when I began to choke on a gobstopper candy. I don’t have any way of telling how long I was without breath but I can still feel the fear of not being able to help myself. My friend didn’t know how to stop someone from choking so she just slapped me on the back repetitively. I distinctly remember silently calling out the words, “God, please help me!”. It was at the moment I requested His help that the candy became dislodged and I could breathe again. This remains such a vivid memory that even now, 26 years later, I can recall each second of this traumatic event. As a teen, my heart was turned towards mission work. 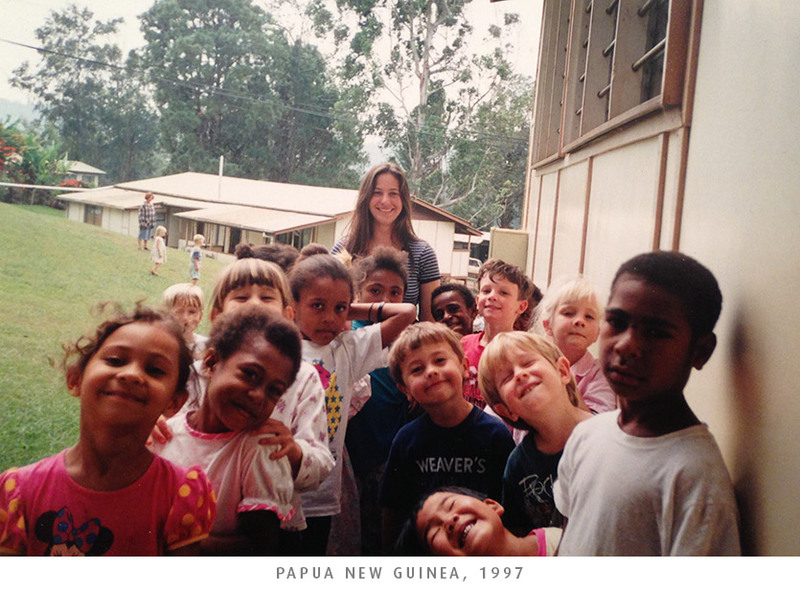 I had a couple of opportunities to travel the world by myself, as well as with a group, to see God at work in places from remote tribal regions of Papua New Guinea to the unrest in the streets of Belfast. I am forever grateful for the exposure to other cultures and people groups. God is at work all over the world. I was blessed that He was able to use me for the few months that I served overseas. I came back to Canada from these trips determined that God was calling me to serve Him somehow through missions. Could this have been what I was saved for? Fast forwarding to today, I can tell you that there are so many more instances in my life that I felt saved from a tragic end. Recently I was driving on a fairly high speed roadway in London and I had Adalai in the car with me. I was stuck in the slow lane and wanted to pass the person in front of me. Suddenly, my car started to smell like it was smoking. I slowed down and tried to figure out what might be wrong with my car. A few seconds later, the truck in the fast lane that I would have been behind, lost the large metal sheet it had been carrying. If I had moved from the slow lane, that metal sheet would have been in my windshield. After seeing the metal sheet go flying and I passed safely in the slow lane, my car stopped smelling smoky. I completely believe that God saved my life and the life of my child that day. I look at these instances of saving grace and see God’s not so subtle reminder that He loves me and does have a greater purpose set aside for me. It may not be those ideas of grandeur that I had a as a teen where I was going to go out into the jungle and show people the love of Christ. It probably won’t be me standing on any stage and belting out songs (you can thank me later) or preaching God’s Word. It may not be any of these dreams, but I would be remiss to say definitively God can’t use me in such ways. He is fully capable to making me into the person of the various dreams I had as a younger person but I am open to the dreams He has set upon my heart for today. God has helped refine my dreams to be more realistic to me at this phase of my life. I do believe that I am right where I am supposed to be at this time in my life. There are many people who spend so much time seeking out God’s will for their lives that I wonder if they miss that they might already living in it. Maybe I’m not the only one that had ideas of grandeur for life that are not being lived out right now? For example, I always felt called to be a mother. God made that possible through our adoption of Adalai. I also thought that meant I was called to be a stay-at-home mom. Having the ability to stay at home with your child is a blessing. Many do not have such luxuries. I thought it would be lovely to stay home with Adalai until she was school aged. I have stayed home with her much of the time but, in all honesty, those were some of the most difficult times for me. It’s not that I don’t love my child or want to be a great role model for her, but I needed more. I found those years to be interspersed with challenges, moments of depression, as well as all the nurturing and joy-filled moments of being a parent. As much as I believe I am not a social person, I now know I need some kind of outlet outside of mothering my child. As I look back on the past few rollercoaster years, I can see that I have indeed been right where God wants me to be. He knows the lessons that I need to learn or re-learn on a daily basis. It was completely His timing and His will that Adalai became part of our family when she did. He enabled me to be able to stay home with her throughout her first years of development and has guided us to the school that she now attends. I’m sure I have had many moments in which I have disappointed Him. So many opportunities that He gave me to succeed and I passed them on by in my grumbling and discontent. I can see His attempt at working in my life and me keeping at my own pace, doing my own thing. But, in all of this, I have being learning. Sometimes retrospectively, but learning nonetheless. I can’t imagine that I am the only one to feel saved for ‘something’. Maybe the ideas of grandeur that you have are indeed placed in your heart by God and He will bring them to fruition in His timing. I guess that’s the hard part – waiting for it to happen! Maybe, like me, you’re knee-deep in family life and wondering what God’s will for your life is for this time. May I suggest that you might just be right where He wants you? It might not be glamourous changing diapers, or cleaning up messes, or dealing with a tantruming toddler but God is still teaching you the necessary lessons you need to learn to be able to do what He has planned next for you. Maybe you’re suddenly single again, or unemployed, or mourning. God can use you and teach you in those moments. Be teachable. Be mouldable. He does have a plan for each of us and will bring it about in His good time! I may not know what God has in store for me beyond today but I rest in the fact that He knows. He has brought me through each day of my life thus far and will continue to do so until He calls me Home. Who knows? Maybe He will re-ignite the dream of doing overseas mission work (rather than just helping to fund it!) and in the future I’ll be blogging from some far off country?! May my heart and yours be ever open to Christ and teachable by our Father to bring about His glory and recognition throughout the nations. My cousins Jenna & Justin Dodson – Heading to Ivory Coast next year! So excited to be praying for and supporting them on their way. Check out their ministry here: http://dodsonsinafrica.wordpress.com.